Are you looking for a fast, friendly and reliable moving company in Alamo Heights? If so, you are in the right place. Our Alamo Heights movers are ready, willing and able to help you have a fun and stress-free moving experience. Our Movers in Alamo Heights will work hard to help you have a relaxing Move. Whether you are moving from a tiny apartment or an over-sized house, you can be assured that our movers will safely move all of your belongings and heirlooms from your old home to your new home. Making the decision whether or not to relocate can be considered as one of the toughest decisions that you will have to make in your life. The hassle associated with moving has played a major role behind this. Often we find reasons to move to another place such as job changes, family problems and end of lease agreement in a rented property. If there is someone who can assist you to get rid of hassle during a relocation, you will tend to go for a new place without any hesitation. Now people who live in Alamo Heights can get the help of Alamo Heights movers to get such assistance. Plenty of reasons are available for the people to choose Texas Best Movers San Antonio for their relocation needs. The whole process can become a challenging one for you, when you go out there to handle it without any professional assistance. You can definitely scare away this relocation stress by hiring a professional movers and packers service. Movers in Alamo Heights offer their services to all the people who live in San Antonio. They have maintained an excellent reputation within the area by providing a high quality service to all the people during the past 14 years. San Antonio movers provide a wide array of services like packing and unpacking, labeling, loading and unloading, office and corporate shifting, household shifting, transportation services and many more. 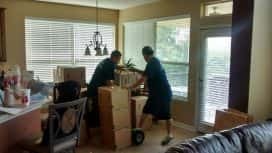 Since our San Antonio movers have been there in the industry for over 14 years, they are equipped with the knowledge to make the relocation a stress free one for you. They can even customize the services according to your needs and requirements. Professional moving assistance is provided from throughout the entire process and you don’t need to worry about anything. Getting the help of Alamo heights movers can take off a major responsibility from your shoulders. The door to door moving services will help you in moving all your belongings from one location to another within Texas. They also deal relevant authorities with paperwork for the transportation if required. The unpacking services will make your life comfortable at the new place. San Antonio movers take necessary measures to ensure the safety of your belongings during the entire process. For example, all their trucks are commercially insured and you will not have to experience any damaged items. When they are placing your belongings inside the trucks, small items are never placed under the heavy ones. If you are concerned about the safety of your belongings, movers in Alamo ranch is the best company to consider. They are popular in San Antonio due to long term experience and professionalism at work. Therefore, you can think about their services for all your relocation needs. Call our moving company in Alamo Heights- San Antonio and request a stress-free moving quote today! When it comes to moving, you simply want a stress free experience. You want nothing more to be relaxed and settled in your new home. With the help of our efficient and courteous Alamo Heights moving company, our movers can help you do just that. Just give us a call at Texas Best Movers!